Funky Buddha will be launching the newest addition, Hop Stimulator, to their core lineup tomorrow, April 19th! This Double IPA is big and bold, coming in at 9.5% ABV and featuring citra, amarillo, centennial, and cascade hops. Hop Stimulator is an evolution of Funky Buddha’s Small Axe Big IPA. Hop Stimulator will be available in four-pack, 12oz bottles and on draft, and will be distributed throughout Florida as a year-round beer starting on April 19th. You can be one of the first to try this new brew at Funky Buddha’s Hop Stimulator release party on April 19th at Funky Buddha Brewery, or at any one of the launch events. 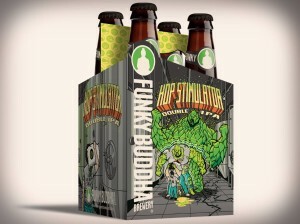 For more info on Hop Stimulator check out this post on Funky Buddha’s blog. Description: Hop Stimulator Double IPA, our newest year-round release is making its debut on April 19th in four-pack bottles and on draft starting at 11:30am in the Tap Room! Hop Stimulator is the natural evolution of our tap room classic, Small Axe Big IPA. We’ve beefed up the Hop bill to include Citra and Amarillo hops to add distinct fruity citrus, peach, apricot, passion fruit, and flowery notes. All the while adding Centennial & Cascade hops to bolster this bitter brew’s citrus flavors and aromas. Pilsner, munich, caramel and carapils malts provide a sturdy but crisp backbone. Hop Stimulator will begin terrorizing shelves and tap towers across Florida on April 19th, so keep an eye out at your favorite bars, restaurants and beer retailers for this monstrous brew. 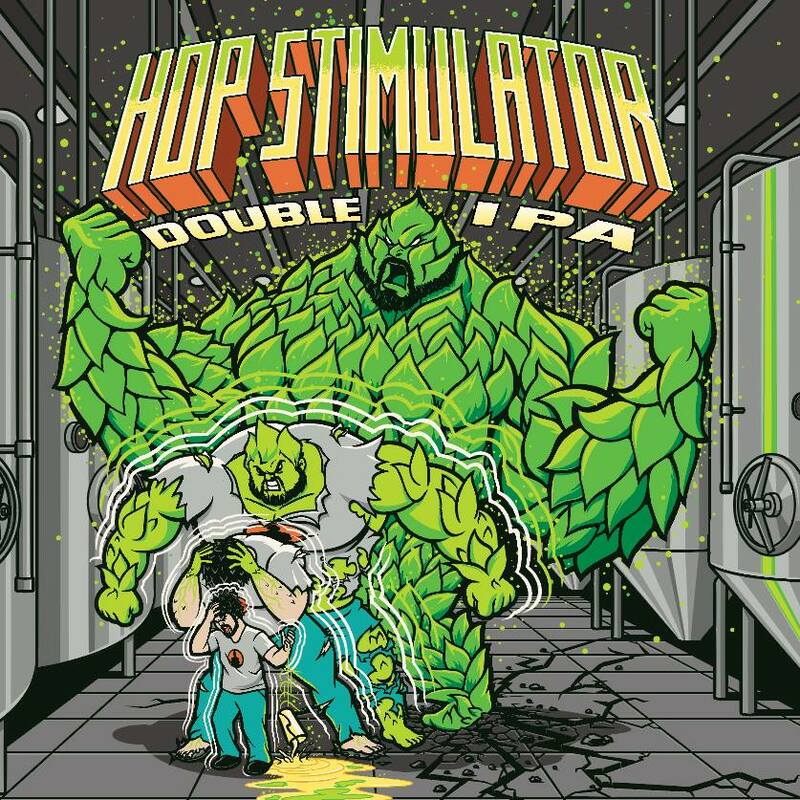 Description: Come try our brand new Hop Stimulator Double IPA at Tucker Dukes on the very first day it’s launched! Wash down a delicious burger with this 9.5% DIPA and follow it with a More Moro Blood Orange IPA or Hop Gun IPA for a hoppy Tuesday! Description: Come join us at Total Wine Colonial Drive! We’ll be dishing out samples of our Monstrously hopped double IPA Hop Stimulator! Description: Join us at The Brass Tap Ybor for a mini tap takeover! Join us for our release of our new year-round beer, the monstrously hopped Hop Stimulator Double IPA! Muy Bonita will be on draft alongside Floridian and More Moro all to celebrate our newest year-round beer. Description: Join us at Beer:30 in San Marco for the kick off of our newest year round beer! Description: Celebrate 4/20 at Brewhouse Gallery with a hoppy lineup featuring our brand new Hop Stimulator DIPA, More Moro Blood Orange IPA, and Hop Gun IPA! There’s no better way of celebrating the Cannabaceae family than with hops… at least we don’t think there is. Description: Come join us at Total Wine Jacksonville! We’ll be dishing out samples of our monstrously hopped double IPA! Description: Leftovers in Jupiter is launching Hop Stimulator on draft and tapping its hoppy brothers More Moro and Hop Gun as well! Come eat some of the best seafood in town and wash it down with some hoppy goodness! Description: Come join us at Total Wine FTL where we’ll be sampling our monstrously hopped new year round Hop Stimulator Double IPA! Description: Join us at The Mack House! We’ll be launching Hop Stimulator as well as tapping some hoppy kegs of Buddha brews! Description: Come to the legendary Lion and Eagle and try our new year round brew: Hop Stimulator Double IPA! They’ll also be tapping More Moro Blood Orange IPA, and Hop Gun IPA to celebrate the launch of our new year-round! Hoppy Trifecta anyone? Get amongst it! Description: Come join us at Total Wine Boca where we’ll be sampling our monstrously hopped new year round Hop Stimulator! Description: Come join us at Whole Foods Market Pompano Beach! We’ll be dishing out samples of our monstrously hopped Hop Stimulator Double IPA! Description: Come join us at Whole Foods Market Boca Raton! We’ll be dishing out samples of our monstrously hopped double IPA Hop Stimulator! Description: Come join us at Whole Foods Market PGA! We’ll be dishing out samples of our monstrously hopped double IPA Hop Stimulator! Description: Come join us at Whole Foods Market West Palm Beach! We’ll be dishing out samples of our monstrously hopped double IPA Hop Stimulator! Description: Come join us at Barley & Vine Orlando. We’ll be pouring your new favorite, and our new year-round, Hop Stimulator Double IPA. Description: Come join us at Crown Liquors Boca! We’ll be dishing out samples of our monstrously hopped double IPA Hop Stimulator! Description: Join us at Craft Beer City in Jupiter for this special event! They’ll be serving growlers of Imperial Chocwork Orange, Vanilla Espresso Porter, and Strawberry Shortcake! We’ll also be sampling our newest bottle, Hop Stimulator Double IPA along with More Moro, Floridian, and Hop Gun! Description: Come out and join us from 7:00 to 9:00 for a Hop Stimulator release featuring Hop Stimulator, There’ll also be a Buddha booth and educational beer conversation. They’ll also have Hop Gun, Floridian, More More and Hop Stimulator on tap all night! Description: Come join us at ABC Sunrise! We’ll be dishing out samples of our monstrously hopped double IPA Hop Stimulator!